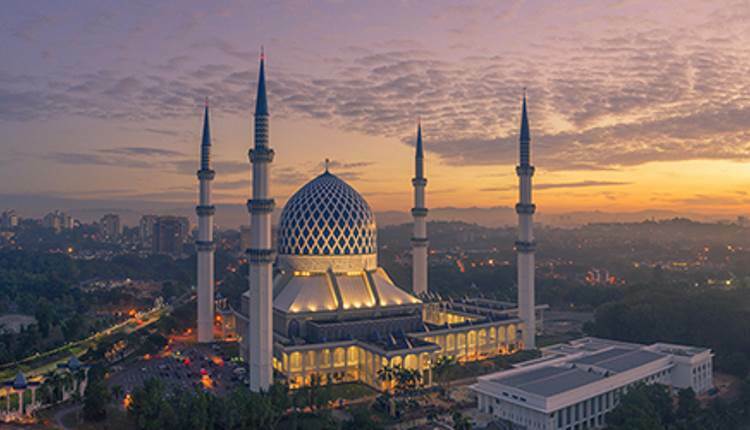 The author in this article has attempted to answer the queries of those who do not appreciate the idea of studying a course on Islamic ethics in an academic programme focusing on business or business-related studies. It is being reproduced in this journal since it deals with many important issues. This article is divided into five parts. The first part describes the reasons why ethics should be studied. The second one delves the question of the rationale of studying Islamic ethics in particular. In the third section, an attempt is made to explain the rationale from the secular and Islamic points of view of behaving ethically in the business world. The fourth section clarifies the methodology that is adopted to decide what is ethical and what is not. The final section explains the reasons why prophethood is the most reliable source of deciding about ethical questions. Why should the study of ethics be a part of the curriculum of Business Studies? This question has relevance both from an individual’s and a society’s point of view. In this section, the question is going to be addressed from a society’s point of view, where as in Section 3 the question of the individual will be taken up for discussion. The concern behind the question is understandable. Since business activity is primarily undertaken to earn and, in most cases, maximize profits and ethical behaviour, on the contrary, tends to place, it seems, restrictions in the pursuit of this objective, it is, therefore, against the spirit of business activity to be concerned about ethical questions. Business concerns are wary of following even the law of the land in many cases for the same reasons. However, since law is backed by the muscles of the state machinery, it receives practical acquiescence in the business world even though, in many cases, reluctantly. Ethical norms, unaccompanied by the force of state, are not likely to be practically very successful. The rationale of studying business ethics lies in the fact that when business enterprises follow their narrow objectives of profit making, they tend to ignore the interests of others. If they are not going to be properly guided to be careful about interests of others while pursuing their self interest, the result will be a net loss to the society. Corruption will creep in and the ensuing chaos and unrest may deny even the successful businessmen the real, long-term benefits from gains that they may have made in their businesses. It is always, therefore, useful to have an ethically sensitive business environment to enable the individual businesses to grow in making the most out of the business opportunities. Another reason for studying ethics is that the law of the land in an ethically consistent society draws heavily from its commonly accepted responses to ethical issues. Most principles on which laws are based are ethical in nature. Studying business ethics, therefore, is an attempt to study the broad principles on which the local laws are based. A third reason why business ethics deserves attention is that the study enables the individuals to become better human beings even when approaching such ‘mundane’ activities as profit making. The principles underlying the common understanding of ‘rational behaviour’ of an economic man mentioned in the contemporary literature of economics are exaggeratingly narrow. Human beings are much more than profit maximizing economic agents even while engaged in economic pursuits. They do have inner compulsions of varying degrees to behave ethically as well. In other words, even though the suggestion that man is highly selfish in his business endeavours gained wide theoretical acceptance, since it was based on a narrow understanding of the real man, it has never been practically visible as a universally applicable rule. It is, therefore, more reasonable to study the principles which seem to be (or ought to be) followed even despite the overwhelming suggestion to the contrary from writers on economic behaviour. Another question that is sometimes raised quite forcefully is concerned with the wisdom behind the idea of studying Islamic ethics instead of general principles of ethics. The commonly presented logic for the purpose is that whereas studying Islamic ethics is likely to be divisive, studying principles of ethics at a secular level is likely to be integrative. For a Muslim, however, it is completely rational to prefer Islamic ethics over Secular ethics. If he does not prefer Islamic ethics, he is undermining his claim to being a Muslim. There seems some problem with his claim rather than the idea of studying Islamic ethics. To claim one thing and to act otherwise is indeed not an ethically sound behaviour. The message of Islam requires the believers to behave ethically in all areas of human activity. In fact, for a Muslim, the study of Islamic ethics should be a welcome opportunity to know or revive what his faith entails. If believers in a message that lays claim to have come from God Almighty to guide humanity at large on the right behaviour choose to study principles of right conduct from other sources, it makes neither logical nor ethical sense. Another reason why Islamic ethics has a clear edge over other forms of studying ethics is its strength of stability. Based on unalterable message of the Quran and Sunnah, the message of Islam provides a stable foundation for ethical behaviour to be inferred from for all times to come. It enables people feel confident about what is desirable and what is not. Secular methodology, on the contrary, is always changing not just in details of behavioural pattern but in the principles behind that behaviour as well. What was totally unacceptable yesterday, may turn out to be thoroughly acceptable today. Such shifting attitudes do not inspire the confidence of those who would like to carry out their activities free from doubts. The concern that Islamic ethics will be irrelevant for the non-Muslims is more legitimate. However, those who live as a part of a religious minority always find themselves mentally prepared to know the majority view. No collectivity can afford to allow some of its members to follow one course of action in collective affairs and others some other. All citizens are therefore required to follow the law of the land no matter whether they agree with it or not. Minorities, moreover, are not being proposed to be forced the Islamic ethics course ‘down their throats’. It is only going to help them in understanding the Islamic way of looking at the problems of the world. There are those who show their lack of interest in Islamic ethics because they believe it is going to be another course of Islamic Studies. These comments, however, do not deserve much attention for they are made in disregard to the understanding of both Islam and ethics. Like any other discipline, Islamic ethics calls for a certain minimum degree of interest of participants for the course to be useful for them. That interest can come out of faith in the veracity of the message or a genuine keenness in knowing what Muslims believe to be the right behaviour to conduct their worldly affairs. If the first reason is missing, the second one could be attempted to create interest. 3. Why Should an Individual be Ethical? The question is again to be viewed from both secular and Islamic standpoints. No worthwhile effort can be undertaken without a strong motivational compulsion. People are motivated by different factors. Material benefits being high on the list of motivators, ethical behaviour is viewed as difficult to be pursued because it is seen to run contrary to the objective of achieving those benefits. However, there are reasons both at the secular as well as religious levels for individuals to behave ethically. At a secular level, there are many who consider virtue to be its own reward. Ethically good behaviour is, in other words, an end in itself. The pleasure of satisfaction one derives is a strong enough motivational reason to continue behaving ethically. Another reason why ethically good behaviour is considered to be desirable is that, in some cases, it is materially rewarding as well. People do tend to patronize those businessmen who are known for their honesty and trustworthiness. The collectivity to which one belongs expects a certain standard behaviour from its members. A behaviour below par is viewed as bringing a bad name to the collectivity. Affiliation to a collectivity is a strong reason why many members of groups find themselves compelled to behave well. These affiliations may be at the level of a family, tribe, club, political party, nation etc. At the religious level, there are two motivating forces — both originating from the same source: belief in Allah. The proper Islamic understanding of belief in Allah entails a behaviour from the believer imbibed in a spirit of yearning to earn the pleasure of the Almighty on the one hand and the earning of a place of success in the eternal life of the Hereafter on the other. The Quran emphasizes that the good conduct of the believing Muslim is always inspired by an urge to seek the pleasure of Allah. It is not meant to gain any worldly benefits. That does not necessarily imply that the goal of achieving worldly gains is never acceptable Islamically. However, for an act to qualify as ethical and virtuous, it must be done with the intention of pleasing the Almighty. This intention is not only required to be cultivated in acts traditionally known to be religious but in all others seeking to be qualified as ethical. Any act claimed to be ethical but inspired by a different intention would stand rejected in the eyes of Allah and would, therefore, not be regarded as one worthy of being rewarded by Him. The other important motivating force for the believer is the desire to get rewarded by the Almighty, not in this world but, in the Hereafter. The believer sacrifices some of the temptations of worldly gains coming through unethical practices by pinning his hope on better rewards in the Hereafter. The believer’s entire life is dominated by his obsession to gain a place of eternal pleasure and satisfaction in the life to come. Many critics would, however, disapprove the suggestion that life Hereafter is a morally acceptable motivating factor on the grounds that it sounds selfish. To some, acting for any purpose other than the pleasure of Allah is mundane. In the opinion of others, even the ideal of pleasing Allah does not appear particularly impressive. One should be virtuous, in their opinion, only to benefit others. All other objectives that motivate ethical behaviour are below the ideal of true altruism. In response to this objection one can argue that even the purest altruistic behaviour is compelled by an inner desire of the doer to see others getting helped and as a consequence get a feeling of satisfaction. If the doer is unable to get even a feeling of satisfaction on doing an act of virtue, is it possible that he would still keep doing it? If the answer to the question is in the negative, then the motive of getting inner satisfaction and seeking pleasure of Allah should also be considered as selfish objectives. If on the other hand, these are legitimate objectives without which an individual should not be expected to be compelled to do good deeds, then the other non-worldly objectives should also be considered worthy of being acknowledged as acceptable. The motive of getting an abode of peace in the life Hereafter can in no way be described as material, selfish, or mundane. It is, in fact, a motive based on the promise of reward from the Almighty that is going to be offered in a life to commence (or continue) after death. Selfishness is a this-worldly concept, whereas a desire for a reward after life is a that-worldly motive. Why should it be considered as selfish in this life? In actual fact, it all depends on one’s understanding as to whether life Hereafter is a reality or not. If in the opinion of an individual it is a reality, to struggle for achieving a place of success in the eternal life would be the most rational behaviour. If however it is only a creation of human desires, in that case indeed it would be foolish to pin one’s hopes on it. Thus, it is primarily on the question of one’s confidence in the truthfulness of the concept of that life that one’s behaviour would depend. One of the arguments to support the idea of Hereafter-based action is that, in the absence of a life after death, morally correct behaviour would seem inconsistent with the general mood of the creation. If there is no encouragement offered anywhere to morally correct behaviour, such behaviour should not be the worry of any one but the most irrational people. On the other hand, if ethically guided behaviour is to find encouragement, only then it should be considered worthy of being followed. Success in the life Hereafter is nothing but a promise of reward by the Creator for the ethically correct behaviour. 4. What is Ethical and What is Not? The question of practical significance is regarding the identification of the methodology and the sources that enable an individual and a collectivity to decide what is ethical and what is not? With regard to this question too there is considerable difference in approach between secular and Islamic societies. In a secular society, the question is answered by drawing from tradition and common sense. A more orthodox society would show a tendency to stick to the traditions of the forefathers tenaciously. However, there is found a strong tendency amongst the less orthodox societies to challenge the traditional views about ethics by bringing forth arguments based on the logic of common sense and practical expediency. The process of change is not usually swift. Nonetheless, once the process is initiated, opinions take varying spans of time to change. The duration involved in the process depends on a number of factors, the chief amongst them being the popularity of the individual presenting them, openness of the members of the society, effectiveness of presentation, prevailing conditions etc. The foremost amongst those who are agents of change are the philosophers. They tend to challenge the very basis of the traditional ethical positions. The media adopted for the purpose of effectuating change, apart from writing and speech, depends upon the available possibilities. As a consequence of a continuous effort, old thoughts give way to new ones. The process of change is met with varying degrees of resistance. A debate takes place which gets coverage in the media and the new point of view prevails by the active support of those who control the media. Adherence to the old views either disappears or becomes unpopular. Once the support for a particular point of view gains currency and seems to influence the majority, the political support follows which ultimately results in the legal enactment of the new point of view. That, however, may not always be the case. For an ethical principle to get legal cover, it is important that, in a democracy, the majority of the parliamentarians should not fear it to be threatening their vested interests. The above discussion shows a very generalized picture of the treatment of ethical issues in a secular society. It is quite clear that ethical solutions lack permanence. No moral position can hold its ground for long. What was ethically bad yesterday can be made to appear not so bad today and perfectly acceptable tomorrow. In a religious society, although common sense and tradition do have a place in influencing attitudes towards ethical questions, these are subservient to the all important source of prophethood which dominates the ethical world. All traditions and suggestions of common sense are — or ought to be — in line with the teachings of the prophets. The very act of confirming the claim of an individual to prophethood, from an Islamic viewpoint, entails that the prophet thus accepted has been conferred the right to dictate the correct approach to ethical issues. Although interpretation of the prophet’s teachings on the subject vary, the basic principle that prophethood enjoys ultimate authority over other sources of knowledge remains unchallenged. In fact, to a religious society the teachings of prophets are the teachings of God Almighty and therefore unquestionably superior to all others. Although in a religious society a personality may start getting acknowledged by new generations as a prophet on account of traditional reverence enjoyed by him, there are several reasons why it is only logical to grant the genuine messengers of God the status they claim to enjoy. Character of the prophets, consistency in their message, miracles presented by them, the prophecies of the earlier prophets heralding the arrivals of the later ones, and the effectiveness of the message they bring are some of the reasons why the prophets are not venerated just because of a society’s traditional attitude towards them but are genuinely considered as true representatives of the will of God by many intelligent believers. The character of a prophet is always above board. He lives amongst the people whom he immediately communicates the message of God. People are unanimous in confirming that he has an impeccable character. It is in the backdrop of this moral popularity that a prophet begins his mission. The Prophet Muhammad (sws), for instance, started communicating his message to the people of Makkah from Mount Safa by first getting confirmed from them that they all held him in the highest esteem. The prophets, since they all come with special assistance from God, are remarkably different from all other individuals in the manner their message manifest itself. Unlike all other human beings, the presentation of the prophets, once they start receiving Divine Revelation, do not show any change in either the basic content or the quality of the message. In other words, one finds perfect consistency in the words, deeds, and teachings of the prophets. No genius can be claimed to have demonstrated the same degree of remarkable consistency. In fact, geniuses, like all other mortals, have had a familiar pattern of gradual development in their abilities and achievements throughout their stay in this world. The Prophet Muhammad’s life, for instance, can be divided into two eras: pre-revelation era and post-revelation era. In the former period, he lived as a very noble man not known at all for taking interest in intellectual pursuits or academic activities of his times. On attaining the age of forty, however, when he announced the receiving of Divine Revelation, he started, and continued, to communicate a message which for the next twenty-three years remained consistent in the highest literary quality it demonstrated from the very first day. Thus unlike the gradual-development pattern of the geniuses, in his case we find a sudden-eminence-and-consistency pattern which remains to this day inexplicable except by the fact that what he taught was the result of the Divine Revelation he received. The prophets have been presenting miracles to their people to further confirm the authenticity of their claims to prophethood. A miracle is an inexplicable phenomenon that occurs and leaves stunned those who experience it. The miracle of the last of the prophet was the Quran. It continues to stay a miracle because the prophethood of Muhammad (sws) was to last for ever. Since the messages of the earlier prophets were not meant to be applicable for until the very end of this world, the miracles brought by them were era-specific. The Quran, however, has been vowed to remain fully preserved for all times to come (15:9). At the time of the Prophet (sws), it was an extraordinary experience for the people of Makkah that a person like him who didn’t know how to read or write and who had never shown any leanings towards literary pursuits all of a sudden presented before them a message about which he claimed that it was from God Almighty. 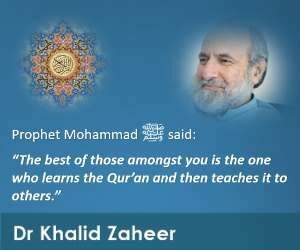 The very people who turned into his enemies and who did every thing within their means to refute his claim never had the occasion to respond to the challenge of the book that if they wanted to prove that it was not from God, they should bring a message equal to it in literary richness (2:23). The poets who used to be proud of their literary excellence were, however, unable to respond to the call. Today the same book remains a miracle on account of the fact that it hasn’t gone stale, neither in its style nor in contents. 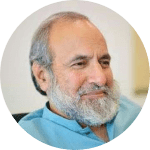 No part of the Quran has been picked by the most ardent of the enemies to show convincingly that any single part of the book has gone wrong in view of the changing understanding of realities. Finally, it is only an individual’s sincere reading of the message of the prophets that can lead him to recognize as to whether it promises to be from the Creator of our existence or not. Those who believe in the prophets very strongly claim that on reading the message, they get that feeling of confidence which is quite often referred to as faith. *. See, for instance, Deuteronomy 18: 17-19 and John 1: 19-25. Why Is Riba Al-Fadl Unacceptable?